Crossword puzzles are said to be the most popular and widespread of all word games. Typically, they are free of controversy—all the correct answers are facts that respond to questions such as “what is the longest river in Egypt?” or “who was the second president of the United States?” In this way, every player has a fair chance. It had never occurred to me that the crossword puzzle could be used as an instrument of propaganda until I picked up a student newspaper from our local university. In its crossword feature, one of the clues referred to “a local anti-choice organization.” The presumed answer was “Birthright.” Here was an instance of propaganda pure and simple. My dictionary, which is not an instrument of propaganda, defines the term as “information or ideas deliberately spread to harm a group or movement.” The truth of the matter is that Birthright is not an “anti-choice organization.” In fact, it affirms a woman’s choice to carry her pregnancy to term by offering her the support she needs. It is slanderous to distort the nature of this charitable organization so that it can be squeezed into a politicized pigeonhole. Was this a bit of left-wing levity, or liberal larceny? It was not difficult for me to decide that it was the latter. Propaganda works effectively when it is grounded in something that people trust. I recall our local TV station reporting on the alleged vocation crisis by showing an empty chapel. When the viewer sees that none of the pews are occupied, he is prepared to believe the voice-over that interprets the situation for him. People trust their eyes; they believe their ears. But suppose the video were taken at 3 o’clock in the morning, when all the seminarians are in bed, instead of at 9 o’clock Sunday morning, when they are all at Mass? 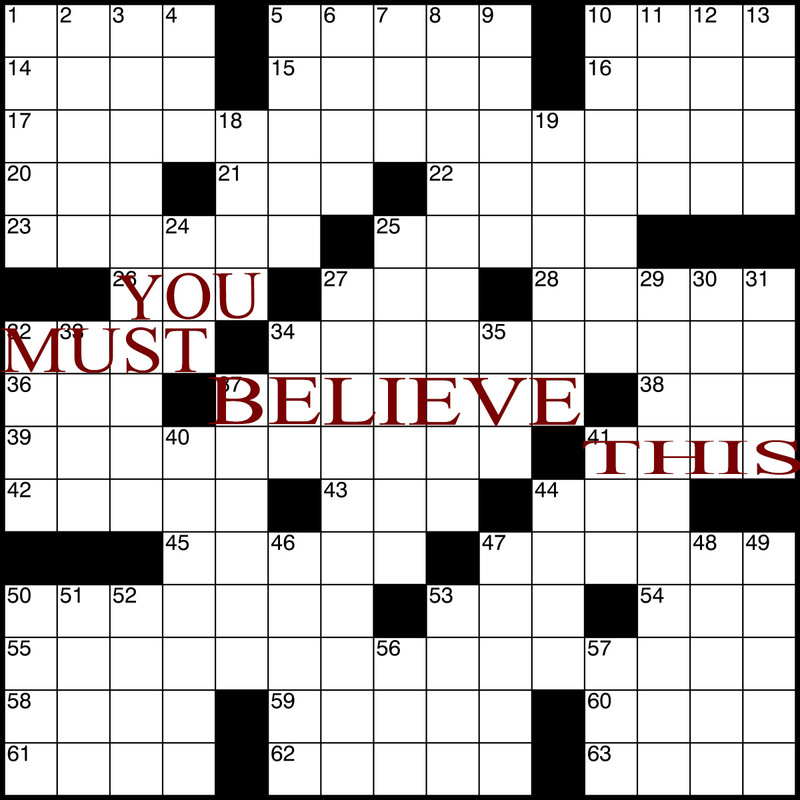 We have built up a certain trust in crossword puzzles. We do not think they are trying to deceive us. But our naiveté can make us vulnerable. Apart from the propaganda, and the slurring of a good and worthy organization, the message fails miserably on a philosophical level. Is anyone truly “anti-choice”? If one were, he would be opposed to all choices, whether they be for life or for abortion. Such a condition—the inability to choose—is pathological. 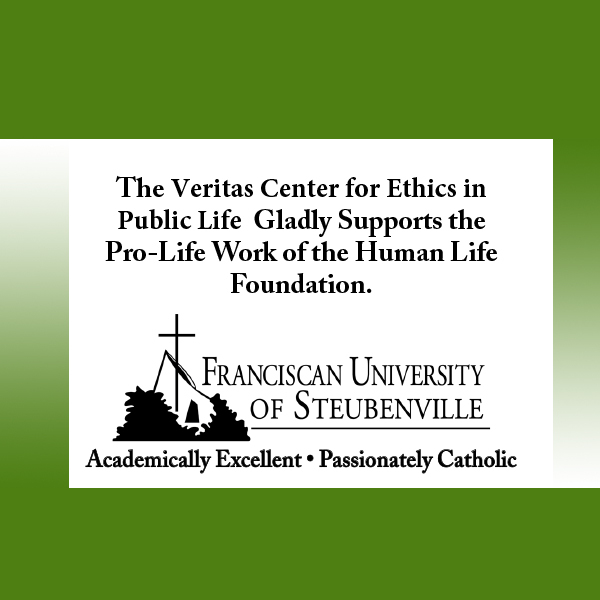 Neither Birthright nor any other pro-life group is anti-choice. Ironically, it is precisely because they choose to be visible and reasonable advocates for the unborn that their opponents want to silence them and make them go away. In this regard, pro-abortion people are anti-choice in the sense that they reject the right of pro-life people to choose to be themselves and express their convictions. And how far does this censoring go? Can a woman who is carrying a child refer to herself as an “expectant mother”? “No,” says the British Medical Association, since that appellation could offend transgender people. Moreover, according to BMA guidelines, “pregnant people” is preferred because, in the future, “intersex men” and “transmen” may achieve pregnancy. Is a pregnant woman allowed to smile in public? “No,” state certain feminists, because that could dissuade other women from having abortions. Who, we ask, is placing unreasonable limits on choice? Was Rabbi Bernard Mandelbaum being anti-choice when he wrote his 1968 book Choose Life? Should both the title as well as the book have been suppressed? Furthermore, the author had the chutzpah to dedicate his book, “To Judith, the wisest choice of life for myself . . . and for Joel, Dasi, David, Debra, and Naomi.” How can the choice for life not be a choice, whereas the choice for death is a choice? Life is certainly an object of choice. It is astonishing how, being cloaked in a shroud of political correctness, a university student, especially one writing for a student newspaper, cannot grasp the meaning of a word. “Anti-choice” would also be opposed to a woman choosing an abortion. The truly great choices in life—marriage, children, one’s vocation, one’s form of education—require both faith and courage. We do not know exactly what sequence of events will flow from our choices. Only God is in a position to know. Organizations such as Birthright are not only pro-life, but also pro-faith and pro-courage. They should not be reduced to a political stereotype. Justice, too, demands their fairer appraisal. Nonetheless, the crossword puzzle as an instrument of propaganda fascinates me. Its degree of cultural acceptance suggests, at least in the student newspaper, that the abortion issue is settled, and opponents of abortion are, indeed, anti-choice. It is now presumed to be a crossword puzzle fact—like the “the world’s tallest mountain” or “the name of the person who invented the phonograph”—that agencies such as Birthright are “anti-choice.” Education, of course, should enlighten, not enshroud. In opposing abortion, one is also opposing certain aspects of culture. To teach the fundamental importance of the triad of life, faith, and courage is a daunting task. Education, however, does not proceed from the left-wing slant of student newspapers. 120 people have visited this page. 1 have visited this page today.